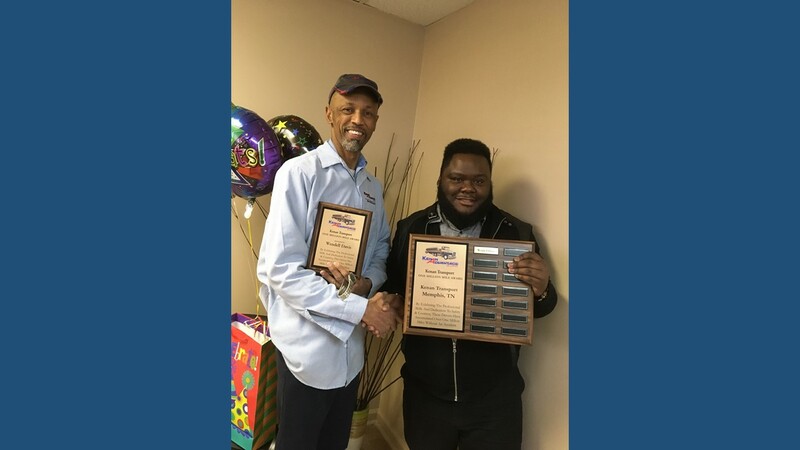 KAG is pleased to present Wendall Davis with the One Million Mile Award. This recognition is given to Drivers who have accumulated one million miles of safe, accident-free driving. Joining KAG in 1993, Wendall drives for our Memphis, TN terminal. “Wendall is one of my senior drivers, always at work, professional and in a good mood,” says KAG Terminal Manager Eric Gaston. Congratulations Wendall and thank you for your professional skills and dedication to the safety and well-being of your fellow Drivers and the driving public.